Ferrari will split with its parent company, Fiat Chrysler, and investors will soon be able to buy shares in the iconic sports car maker. 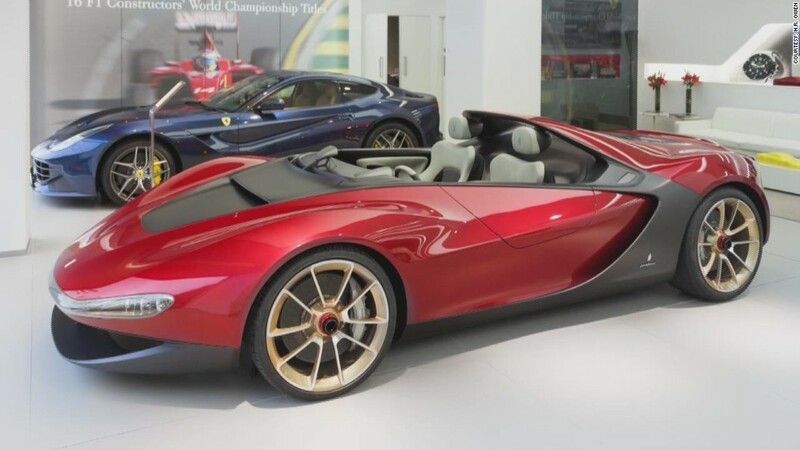 Fiat Chrysler (FCAU) announced the news Wednesday, saying Ferrari will be listed in the U.S. and possibly on a European exchange. About 10% of Ferrari's shares will be up for grabs. The other 90% of shares will be distributed to current Fiat Chrysler shareholders. A company spokesperson did not give a timetable for the split. "The separation of Ferrari will preserve the cherished Italian heritage and unique position of the Ferrari business and allow [Fiat Chrysler] shareholders to continue to benefit from the substantial value inherent in this business" said John Elkann, chairman of Fiat Chrysler. The company's New York-listed shares rose 13% Wednesday and are up 35% for the year. In September, Fiat Chrysler pushed out Luca di Montezemolo, the 23-year chairman of Ferrari. Ferrari, which used to consistently rank number one in Formula 1 races, has not performed well lately. Fiat Chrysler CEO Sergio Marchionne stepped in to replace Di Montezemolo and will stay in that role after the spin-off. Ferrari has built a world-class name for itself based on its reputation for exclusivity. It capped production at 7,000 cars per year, which ensured that demand consistently outstripped supply. In September, the company said it will increase production by 5% this year to keep its waiting list under control. Fiat Chrysler, which also owns the Maserati, Jeep and Dodge brands, made the Ferrari announcement as it reported third quarter earnings. Revenue was up 14% and profits rose by 7% compared to the same period last year. Ferrari's sales surged by 24% in the quarter and profits rose by 1%. In the first nine months of the fiscal year, the Ferrari brand brought in just 3% of Fiat Chrysler's revenue, but almost 13% of its profits before interest and taxes. The parent company has had problems at some of its other brands and said it is recalling 566,000 Dodges and Jeeps. This has been an epic year for recalls. Automakers have recalled a record 52 million vehicles, including 30 million recalled by General Motors (GM).